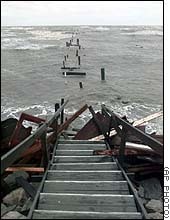 No other hurricane did as much damage to the camps as Hurricane Georges. 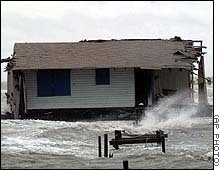 Of over 150 camps left on the lake in the Hayne Boulevard area, only 6 remained after Hurricane Georges. 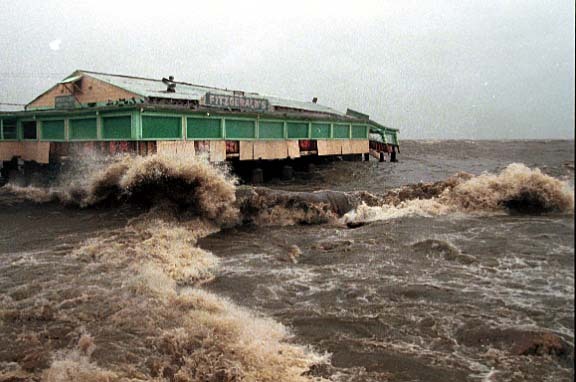 September 27-28th, 1998: Formed in the East Atlantic, Georges moved west-northwest and became a major hurricane as it approached the Lesser Antilles. 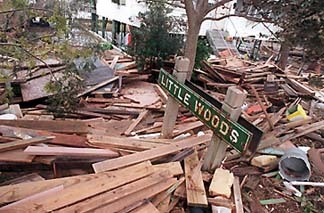 Georges left a trail of destruction as it raked the Virgin Islands and most of the islands of the Greater Antilles. Over $2 billion in damages occurred as Georges terrorized the West Indies. 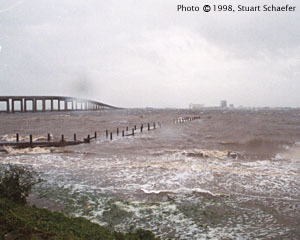 The hurricane struck the Mississippi coast at Category 2 intensity. 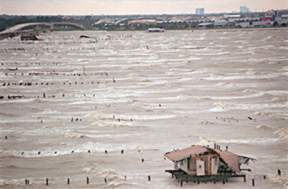 Winds gusted to 55 mph at New Orleans Lakefront Airport...the pressure fell to 29.37'. 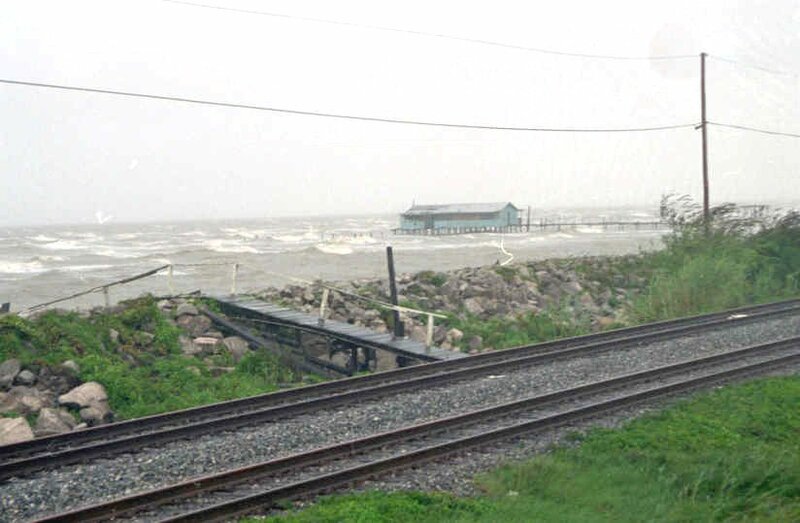 Storm surges above seven feet overflowed some of the land surrounding Lakes Pontchartrain and Borgne...a storm surge of 8.9 feet was noted at Northeast Gardene Bay, east of Pointe a la Hache. 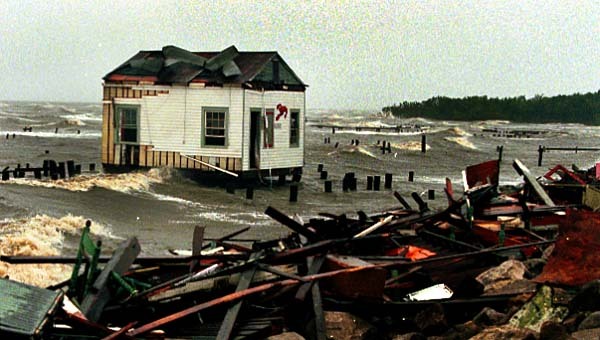 A large number of fishing camps were damaged or destroyed along Lake Pontchartrain. 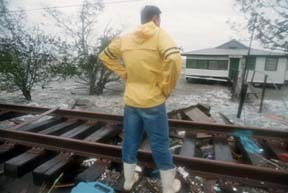 Two died from Georges in Louisiana.